A headphone amplifier for ultra high demands. The pcb has two layers. It's an unpopulated pcb. High speed, low distortion current feedback design. All discrete design of the amp itself. Offset trim with a trimpot and/or with a DC servo. 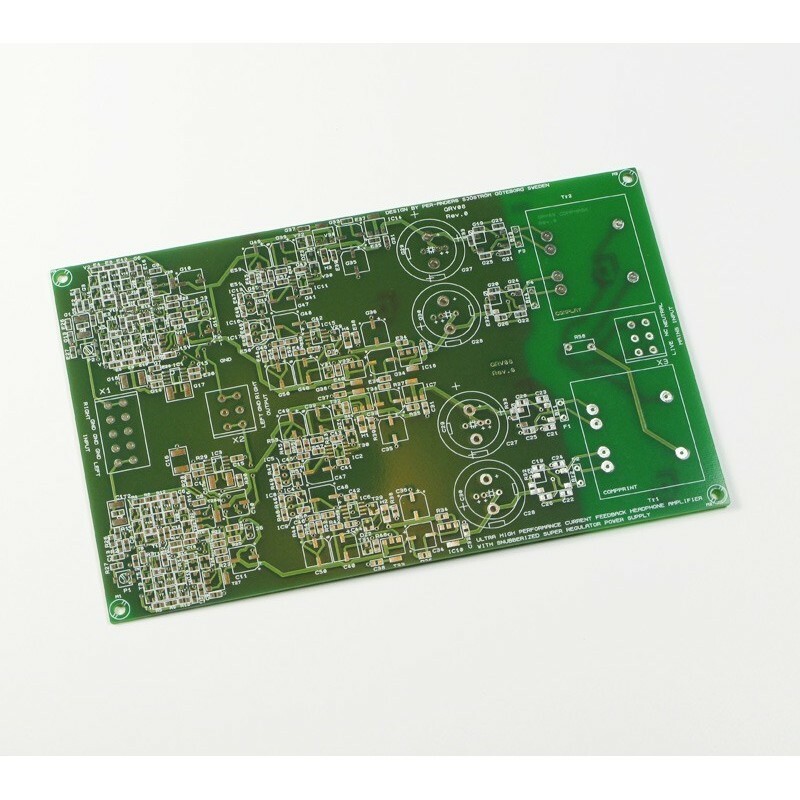 High speed and high performance SMD buffer as output stage. High current transistors as output stage. 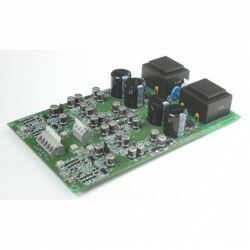 Extremely high quality dual mono power supply with large smoothing caps and transformers on the pcb and with four extremely high speed and high performing super regulators. Any bad feature? Possibly that this project requires skills more than usual in order to succeed. The skills are about soldering the parts in the right place. If you'll manage that, this isn't so hard after all. Building time 4-6 hours only.